We are proud to offer full body digital radiology. Digital radiology provides high quality images within seconds, allowing our veterinarians to deliver radiographic readings and interpretation on site. Radiographs are snap shot views into your animal that helps your veterinarian gather valuable information a physical exam cannot provide. 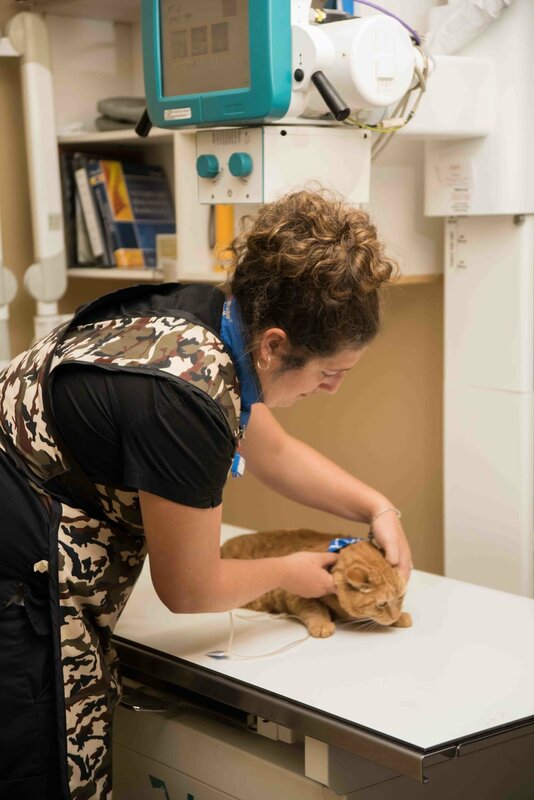 Your veterinarian can assess bones & joints, heart & lungs and the soft tissue organs of the abdomen - we use radiographs to help diagnose fractured bones, heart disease, foreign bodies and more. We are also able to send radiographs to radiology specialists for interpretation in any complicated situation or when a second opinion is needed.